Nothing in Judaism has proved more complex or internally controversial than the biblical approach to sacrifices. On the one hand they occupy a key position in the Mosaic books. Their laws are set out in great detail. No less significant is where these laws are to be found. As I have suggested elsewhere in these studies, one of the most characteristic features of the Torah’s literary style is the chiasmus: a pattern of words, phrases or verses that have the form ABCBA. This focuses attention on the middle element of the literary unit. The climax is not at the beginning or end, as in other literary forms, but in the centre. This becomes the turning point, at which the direction changes from departure (A-B) to the beginning of return (B-A). The entire Pentateuch (the five Mosaic books) forms a chiasmus. From the perspective of the Israelites in the wilderness, Bereishith looks back to the pre-history of Israel, while Devarim turns to the future, as Moses’ prophetic vision scans the far horizons of hope and expectation. Shemot and Bamidbar are a matched pair, telling the story of the present – Israel’s journey from Egypt into the desert and to the brink of the promised land. This leaves Vayikra as the central and therefore the most important book (not by accident was it the Jewish custom for many centuries to begin teaching Torah to children by starting with Vayikra). At the centre of Vayikra itself is the so-called “holiness code”, chapter 19, with its great injunction, “Be holy, for I, the Lord your God, am holy.” Vayikra is largely about sacrifices and the service of the priests. Hence its ancient name, Torat Kohanim, “the law of the priests,” from which we get the Latin-English word Leviticus (“of priestly matters”). There can be no doubt why this book occupies the centre of the Torah. The reason lies in the mission-statement of the Jewish people, stated immediately prior to the revelation and covenant at Mount Sinai: “You shall be to Me a kingdom of priests and a holy nation.” The relationship between Israel and the nations is like that between priest and people. Like a priest, Israel is “holy” meaning “set apart” (this is the meaning of Bilaam’s famous phrase, “the people that dwells alone, not reckoned among the nations”). It mediates between God and the world. 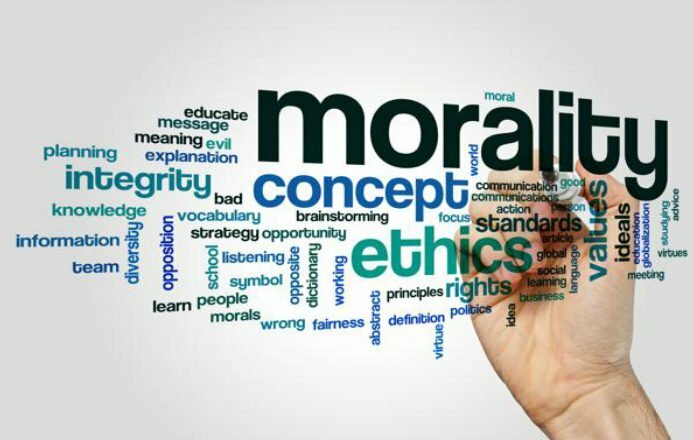 Its special laws of purity – not part of the universal Noahide commands between God and humanity as a whole – testify not to superiority but to national vocation. Like the priest, Israel is called on to live in special proximity to God. Thus the sacrifices – known generically as avodah, “service” – are a core element of Israel’s identity. Their importance to the biblical vision cannot be denied. I will have no regard for them . . . But let justice roll on like a river, righteousness like a never failing stream. “The multitude of your sacrifices, what are they to Me?” says the Lord. “I have more than enough of burnt offerings . . . Your incense is detestable to Me . . .
Wash and make yourself clean. Take your evil deeds out of My sight. Stop doing wrong, learn to do right. “I neither spoke to them nor commanded them about burnt offerings and sacrifices”? How could Jeremiah say such a thing when the Torah is full of commands about sacrifice? Few things are more revealing of the depth and courage of the Jewish imagination than the fact that tradition chose this as the haftarah for Tzav, thus presenting the paradox in its full force. Tzav emphasises the importance of sacrifice; Jeremiah seems to deny it. There is no attempt to soften the seeming contradiction. One of the classic roles of religion in human history has been to present a simplified view of the world. Not so Judaism. The clash of perspectives between sedra and haftarah creates a discord which captures our attention and forces us to reflect more deeply about the place of sacrifice in the religious life, and the very nature of Israel’s spiritual vocation as a whole. Many precepts in our Law are the result of a similar course adopted by the same Supreme Being [i.e. gradual evolution]. It is impossible to go suddenly from one extreme to the other; it is therefore according to the nature of man impossible for him suddenly to discontinue everything to which has been accustomed . . . The custom which was in those days widespread among all people, and the general mode of worship in which Israelites were brought up, consisted in sacrificing animals in temples which contained certain images, to bow down to those images and to burn incense before them . . . For this reason, God allowed these kinds of service to continue. He transferred to His service that which had formerly served as a worship of created beings [i.e. idolatry] . . . By this Divine plan it was effected that the traces of idolatry were blotted out, and the truly great principle of our faith — the existence and unity of God — was firmly established. This was achieved without deterring or confusing the minds of the people by the abolition of the service to which they were accustomed and which alone was familiar to them. In this way, Maimonides reaches an understanding of Jeremiah’s apparent negation of sacrifices. What the prophet intends to say is that sacrifices were not an end in themselves. They were a means of establishing firmly in the minds of the people that God alone was to be served. In Jeremiah’s day the people, however, confused the means with the end, seeing sacrifices as an end in themselves, as if there were no deeper content to the idea of serving God. In fact, however, Maimonides is making two fundamental and important observations. The first is that the commands do not constitute an undifferentiated set of imperatives and prohibitions, each standing, as it were, alone. For Maimonides, there is a logic to the law. 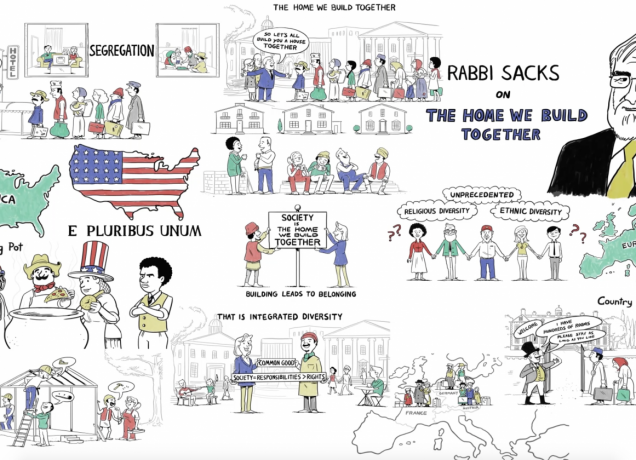 The Torah as a whole is a system designed to bring about certain fundamental transformations: a society built on justice and compassion, individuals schooled in what is today called “emotional literacy,” and a set of true opinions widely diffused within society, as to the nature of reality and our place within it. The second is that Torah takes into account what philosophical systems rarely do, namely the dimension of time in social transformation. Philosophical systems aim at simplicity: that is both their strength and weakness. It makes them easy to understand but impossible to apply – because life is never as simple as philosophers take it to be. The Torah by contrast works with the grain of human nature. It recognises that change in human affairs takes a long time – far longer than a single generation. The result is that commandments are ranged across a spectrum. Some are close to an ideal (the end-point of the journey), while others are closer to reality, the starting-point of the journey. Within any sphere of Judaic concern, there are inner and outer dimensions. Thus, for example, there is the leadership of power(king-subject), and the leadership of influence (teacher-disciple). Power relations are necessary for the maintenance of society, but are not an ideal. Influence-relations – as in education – are ideal, but are not sufficient (in pre-messianic times) for the governance of a nation. Kingship is thus an outer dimension of Judaism, while teaching is an inner dimension. The best way of knowing which is which is to see whether Jewish law seeks to minimise or maximise the phenomenon in question. When it comes to kings, the Jewish tradition is restrictive (don’t multiply horses, wealth or wives; no arrogance etc). When it comes to teachers it is expansive (honour teachers more than parents and only a little less than God). The phenomena the Torah seeks to minimise are outer commands, more like concessions than ideals. Maimonides’ argument is that the service of God has inner and outer layers. Prayer is an inner layer, sacrifice an outer one. That is why – he argues – the entire sacrificial structure in Judaism is restrictive rather than expansive. Sacrifices may only be offered up at certain times, by the members of a certain family (the sons of Aaron), using specified animals, and in a central place. Prayer, by contrast, may be offered anywhere, at any time, by anyone (only later, in the days of Ezra, was prayer, too, structured). It follows that prayer is close to an ideal; sacrifice is more like a concession. The result of this complex structure is to create a dynamic over time. We can see this in the case of slavery. The Torah permits slavery, though it also restricts it. On the other hand it also creates an ideal, called Shabbat, in which all relationships of hierarchy and dominance are suspended so that, one day in seven, the slave is as free as his or her owner. Historically it took several millennia for slavery to be abolished – in America, not until the 19th century and not without a civil war. This is one of the glorious paradoxes of Torah, that it is a timeless system which nonetheless operates in and through historical time. Maimonides is therefore able to answer (though he does not say so explicitly) a fundamental question: how, if sacrifices are central to Judaism, was it able to survive the destruction of the Second Temple? How could Judaism live, as it were, without its heart? His (implicit) answer is that while sacrifices represent avodah, the “service of God, and avodah lies at the core of Judaism, sacrifices themselves were an outer layer surrounding this goal, and prayer an inner one. Judaism was able to survive the loss of its sacrificial order because prayer remained. Thus far, Maimonides. We can however add the following. 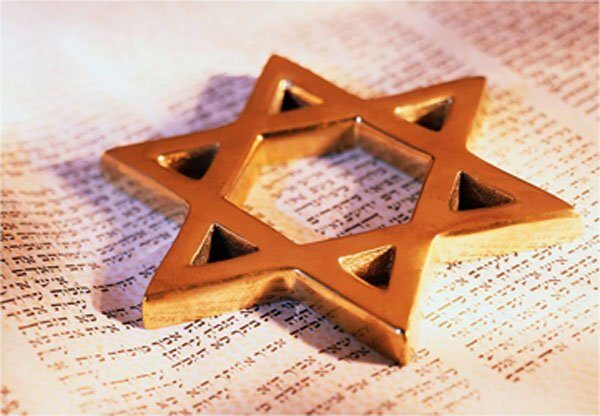 One of the most striking features of Judaism is that it makes its appearance not as one religion among many – a variation on an existing theme – but as something utterly new. From the outset it was a protest against empires, hierarchical social structures, and the beliefs that held them in place. For the first time, the individual as individual had ultimate, ontological dignity. Theology and anthropology went hand in hand. Finding God, singular and alone, ancient Israel discovered the human person, singular and alone. Tenakh is a sustained battle against three things: idolatry (the system), myth (the narrative that justifies the system) and pagan ritual (the acts that sustain the system). The world against which Judaism is a protest is one in which conflict is endemic, power the ultimate victor, and society the hierarchical ordering of power. In such a world, sacrifice is the attempt to placate the gods, earn their goodwill and thus enlist their power. In Judaism, sacrifice is something else altogether. The God of Israel is simultaneously the supreme power (creator of heaven and earth) and yet one who heeds and acts on behalf of the powerless (slaves in Egypt, the widow, orphan and stranger in Israel). Such a God cannot be bribed or placated. The very meaning of sacrifice is thus transformed. It becomes something that has an effect not on God but on man. How so? The word korban, “sacrifice” means “bringing, or coming, close.” To come close to God in Judaism, we must renounce ourselves – our power, our will, our autonomous being, our self-sufficiency. We must give something up. We must engage in a symbolic act of renunciation. That is the meaning of sacrifice. The result of such “coming close” is that, after it, we return to the world changed. Renouncing our ownership of something (an animal, or part of the harvest), we acknowledge God’s ownership of the world. We therefore re-engage with the world in the conscious knowledge that we do not own it. We are no more than trustees or guardians of the universe on behalf of God. For this reason, when the Temple was destroyed, other forms of renunciation were substituted: the will (in the case of prayer), the mind (learning), or property (tzedakah and hospitality to strangers). So long as the Temple existed, however, there was one great danger. Externally (seen from the outside) sacrifices were the point at which the practices of Judaism came closest to those of pagan cults. 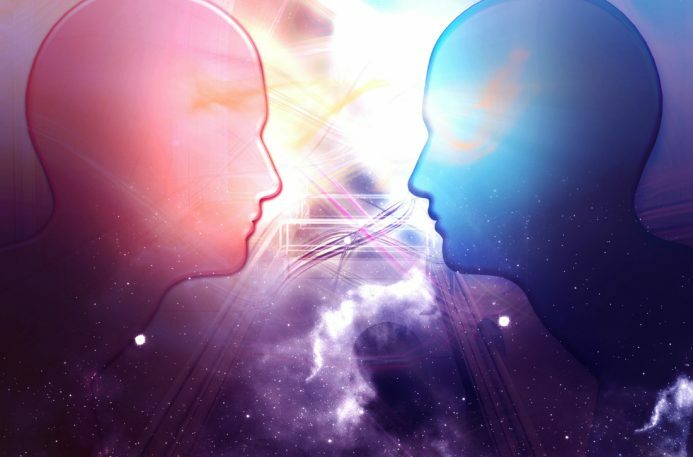 Their inner meaning was quite different but their outer form was similar. This explains the sustained critique of sacrifices by the prophets. They were not against the institution, but they recognised that here, more than anywhere else, without constant reminders, Jews could lapse into idolatry. They could come to see sacrifices as a way of placating God, leaving them free to exercise power over the powerless. In Judaism the point of sacrifice was the precise opposite – a renunciation of power in favour of God, so that the experience of powerlessness in the face of Infinity could activate their identification with the powerless in society. Here more than anywhere else, intention was vital. The wrong intention could turn a holy act into a pagan one. Prophecy is a critique of power. That is why the prophets focused on two institutions, monarchy (earthly power) and sacrifice (as a means of enlisting divine power). There is no doubt that for many people an intention is best expressed through symbolic action. That is why, long after sacrifices came to an end with the destruction of the Temple, certain quasi-sacrificial acts re-entered Judaism through folk custom, such astashlikh (the “casting away” of sins on Rosh Hashanah) and kapparot (the “penitential offering,” often a chicken, before Yom Kippur). Ritual is the dramatic acting-out of an intention. This is especially important in the case of repentance, in which something (representing the old self) has to die so that something else (the new self) can be born. It was the genius of Judaism to understand that what was central in avodah, the service of God, was the intention, not the precise form of its symbolic enactment. That is how words (prayer) could eventually substitute for property (animals, grain). What remains, however, is the sacrificial dimension of prayer as an act of renunciation in which we negate our will in favour of the will of God. Like sacrifice, prayer is where we offer back to God the gift of our being, and find ourselves given back to the world purged, cleansed, forgiven, renewed.